There are many state parks along the north shore of Lake Superior. We've hiked most of them several times over the years. I mentioned Temperance State Park and Tettegouche State Park in earlier posts, here are some of the other parks we like to visit. Gooseberry Falls: Usually our first stop as we drive up scenic Highway 61, Gooseberry Falls State Park is a popular place to climb over rocks around the upper, middle and lower falls. It is a short hike to the main falls area from the parking lot at the visitor's center. Depending on the water level, you can climb all over the falls themselves. 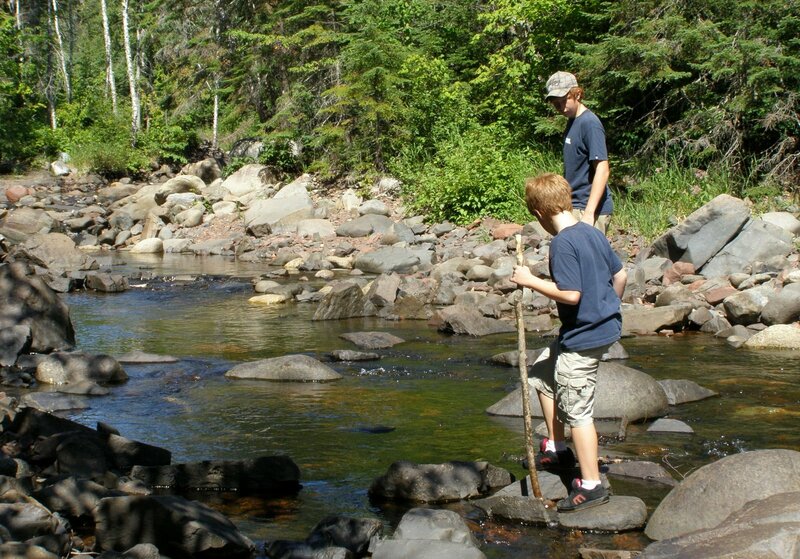 There are longer hikes along the Gooseberry River if you really want to stretch your legs. You can also drive down to the beach and enjoy a picnic lunch and hunt for agates. Split Rock Lighthouse: Although Split Rock is close to Gooseberry Falls, we usually save it for the last day so we can visit the rocky beach early in the morning before we drive home. 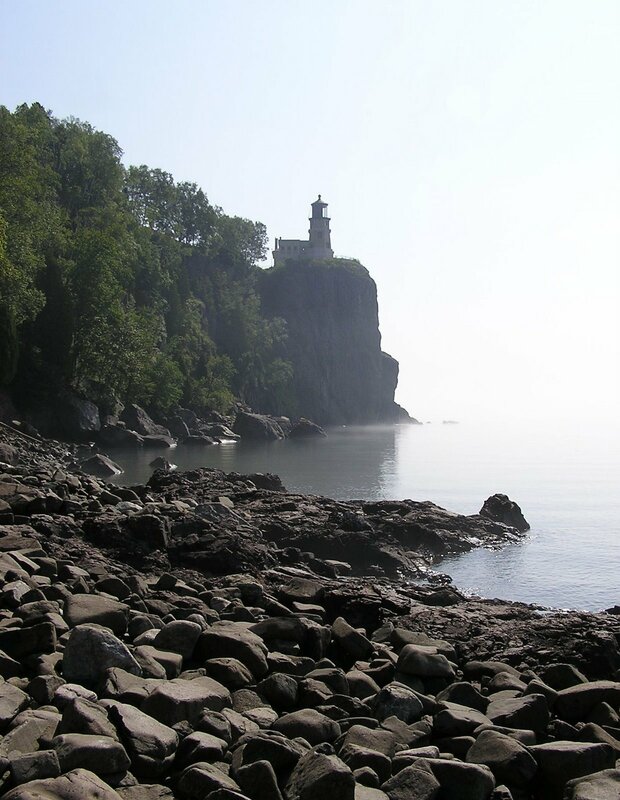 The Minnesota Historical Society offers guided tours of the lighthouse and other buildings. You can hike or drive down to the beach from the lighthouse. There are several miles of hiking trails in the park and the paved Gitchi Gami State Trail section between Gooseberry Falls and Split Rock Lighthouse is now complete and open for biking, skating and hiking. Palisade Head: Located within Tettegouche State Park, Palisade Head is just south of the entrance to the park at mile marker 57 on Highway 61. 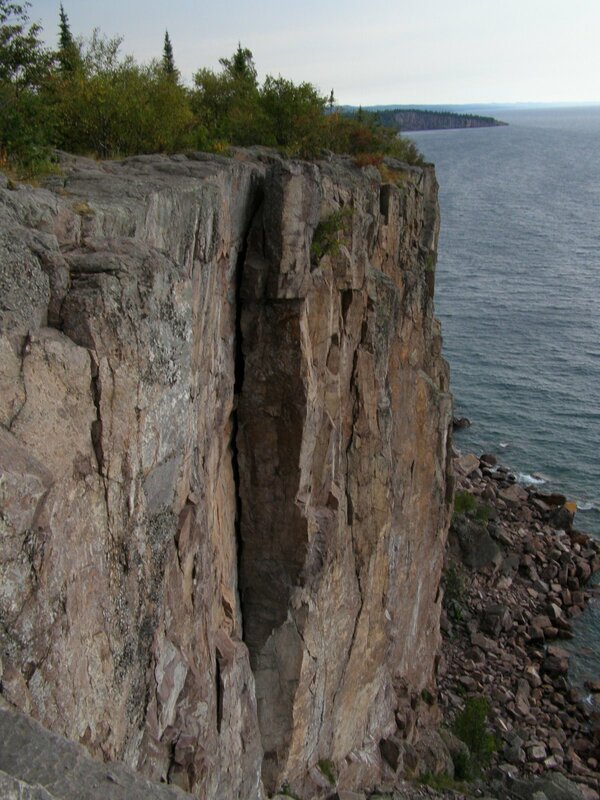 This is a great place to stop for scenic views of the cliffs above Lake Superior. Drive the narrow winding road to the top, then walk around the rocky edges. Be careful, there aren't any fences and it can get very windy. Cascade: Another spot with parking right off Highway 61, Cascade River State Park has a nice trail on the west side of Cascade River. 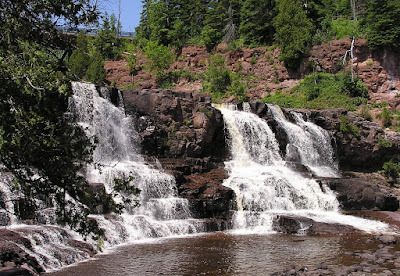 Less than a mile from the parking lot is Cascade Falls and the Cascades, but you can follow the river for several miles past that on the Superior Hiking Trail. After your hike, walk across Highway 61 and climb down to the beach where you can relax and enjoy a picnic lunch. Judge C.R. Magney: Further up the North Shore, past Grand Marais, is Judge C.R. Magney State Park. This is the first year we visited this park and found the trail to the Devil's Kettle waterfalls to be a little challenging with a steeper trail and many stairs. It was worth it, though. 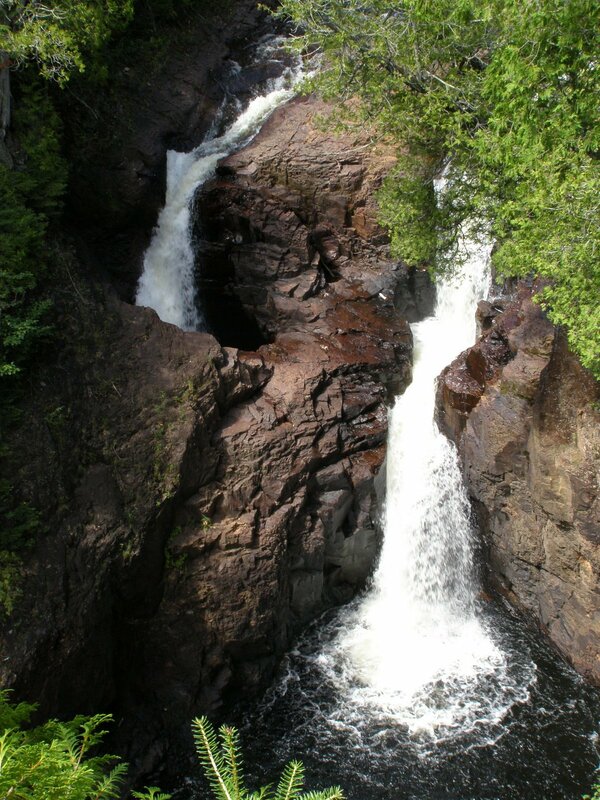 Most people turn back after seeing the Devil's Kettle, but if you are still feeling energetic, you can continue hiking along the Brule River. and continue to share it under the same, similar, or compatible license.